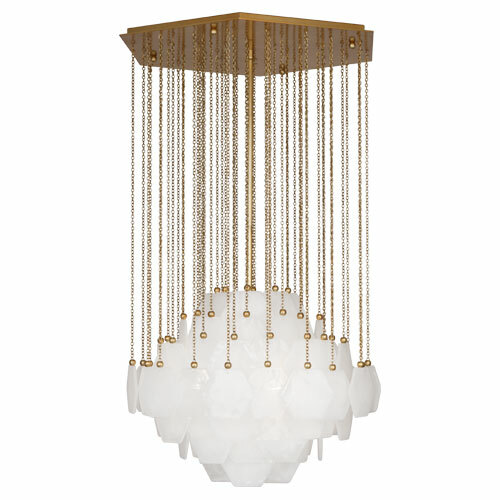 One of our favorite trends at the show was the expression of Mid-century modern. Function was as important as form in Mid-Century designs and the style was characterized by clean simplicity and integration with nature. 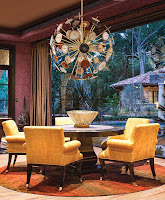 Interior spaces were opened up and the outdoors brought in. 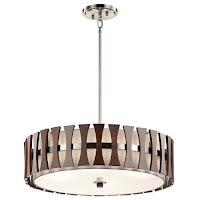 Kichler introduced several fixtures nodding to the movement - the Cirus collection features warm curved Auburn Stained Wood accents reminiscent of wood panels from the 1940s. The smooth round shape and white fabric shades complete the look. 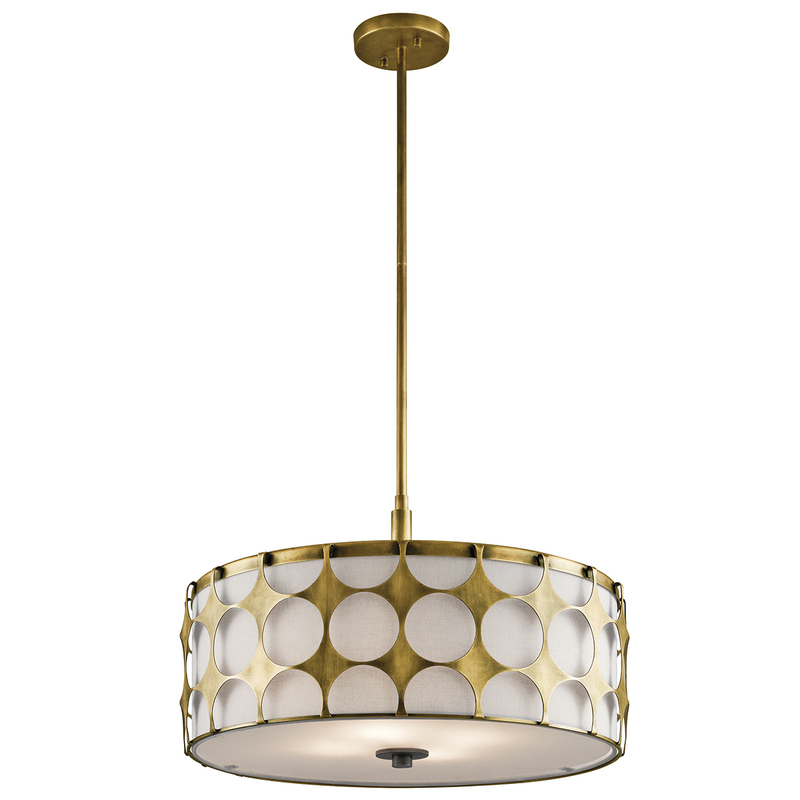 And the Charles collection stamped circular cut outs in Natural Brass surround a pleasing, smooth round shade. 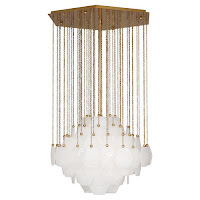 Another great example is the Jonathan Adler Vienna Chandelier manufactured by Robert Abbey that offers modern sophistication with a cool '60s groove. 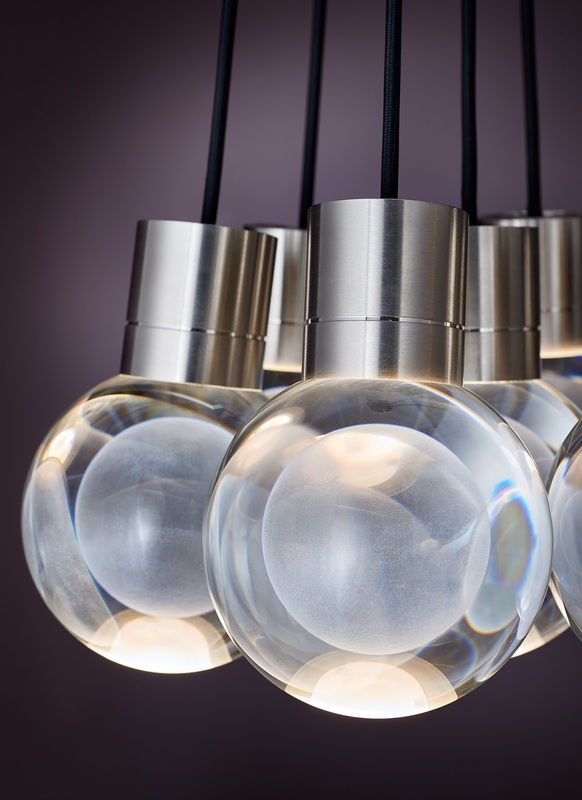 The texture and tone of the expertly handcrafted, nearly opaque Pulegoso glass adds a glamorous glow to any room. We loved the use of organic materials in fixtures this year. One of the more popular trends at the 2016 Lightovation Lighting Market was the inspiration that came from outdoors. Natural shapes, unexpected organic materials and a large focus on outdoor chandeliers showed us we could go “back to nature” in a very sophisticated way. 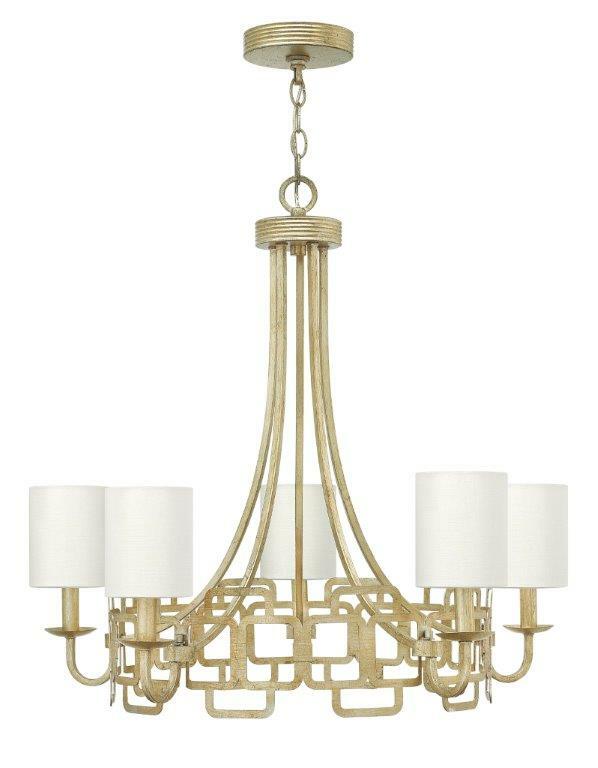 Artcraft Lighting’s Danbury chandelier by CobiStyle (designer Cobi Ladner) features a bronze frame with rope-wrapped arms, and provides ideal lighting for a small foyer, hallway, or dining room. 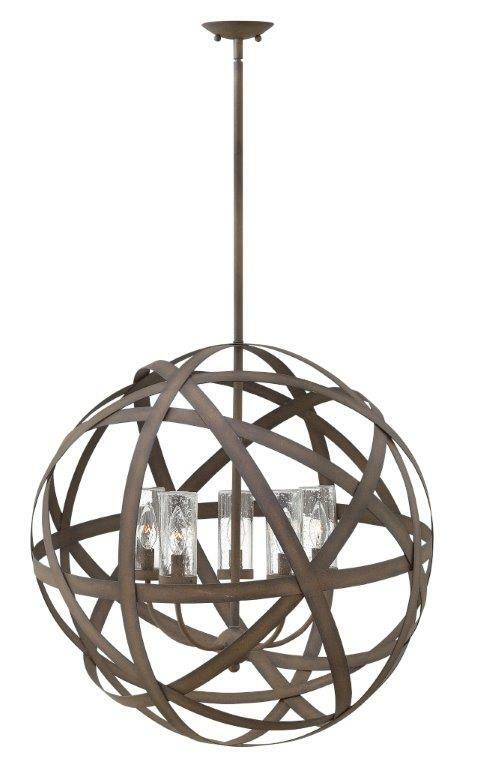 Natural agate is the star on Corbett Lighting’s Meteor six-light pendant. The frame is hand crafted iron with a textured gold leaf finish. Carson from Hinkley Lighting pairs industrial sophistication and artisan craftsmanship with its bold overlapping metal ribbons. 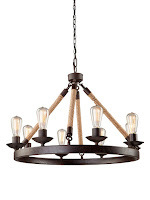 The hand-crafted pendants bring a subtle touch of reclaimed charm into any space. Although many introductions still featured drum shapes, we were drawn in more by the spherical bodies. Orbs surrounded us and we liked it! 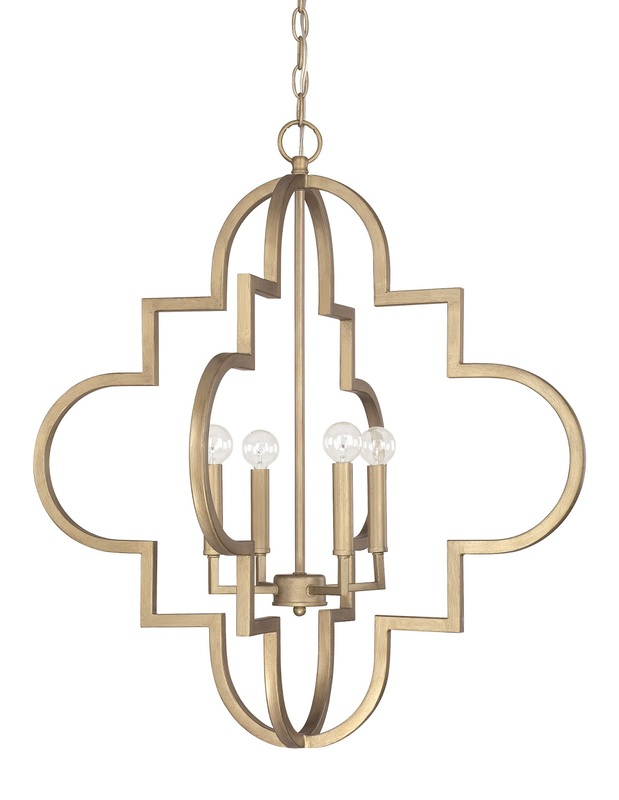 From Elk division Dimond Home we discovered Oriona, a three-light pendant fixture in antique gold leaf. 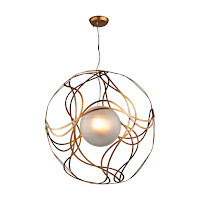 With a modern yet organic vibe, this fixture would be at home in a wide variety of decors. 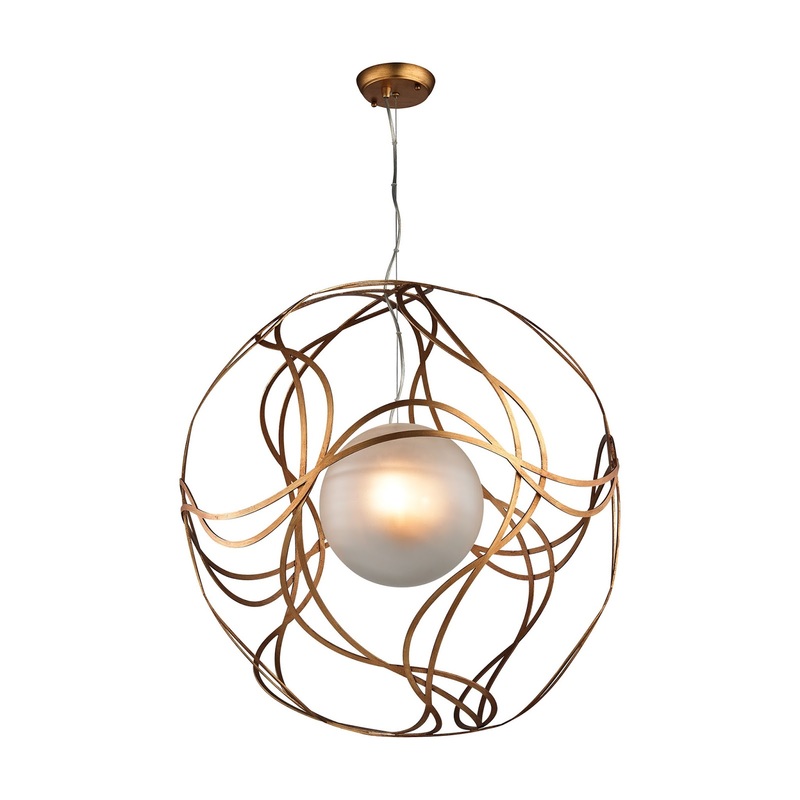 The orb-centric pendant is handcrafted from metal and glass and is available in large and small sizes. 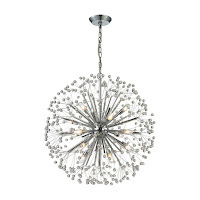 Elk also brought us a Starburst fixture in a beautiful globe shape. 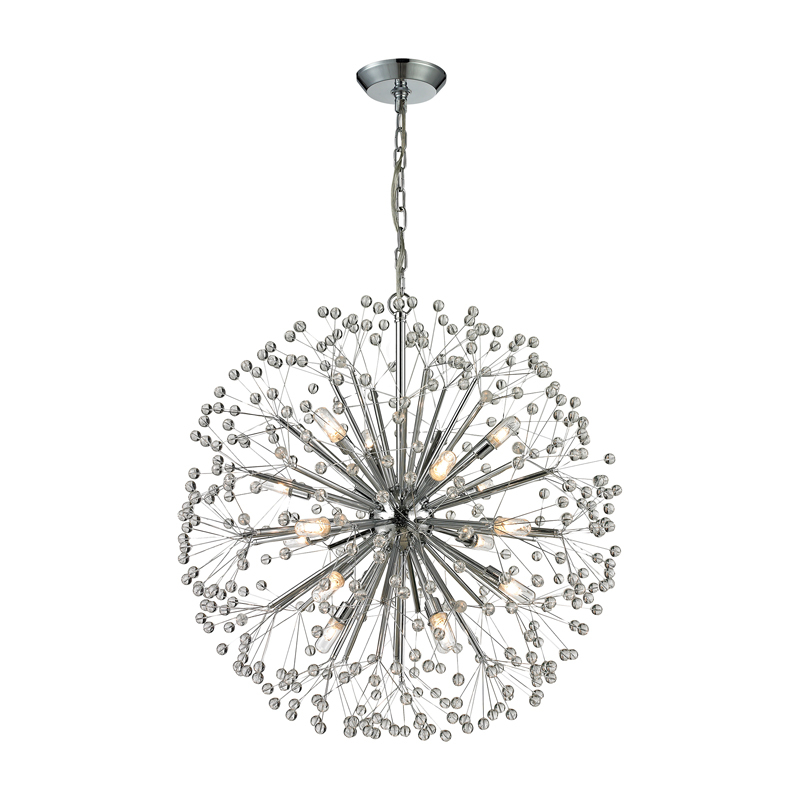 This delicate pendant fixture has 19-Light points in a polished chrome finish. 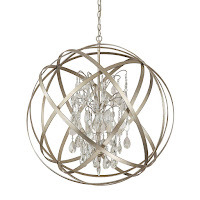 An elegant sphere of pure optic crystal is laser etched to create a mysterious yet beautiful orb floating within. 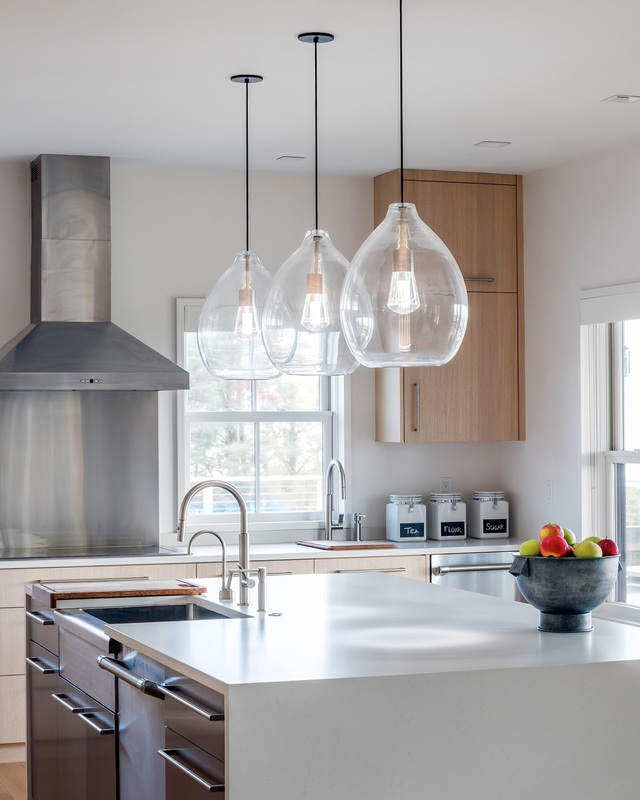 When illuminated by the downward-firing LED hidden within the socket, the Mina pendant light from Tech Lighting’s inner orb glows brilliantly while the fixture provides a bounty of task light on surfaces below. 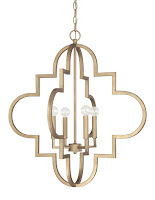 The Axis collection is one of Capital Lighting’s most popular collections. 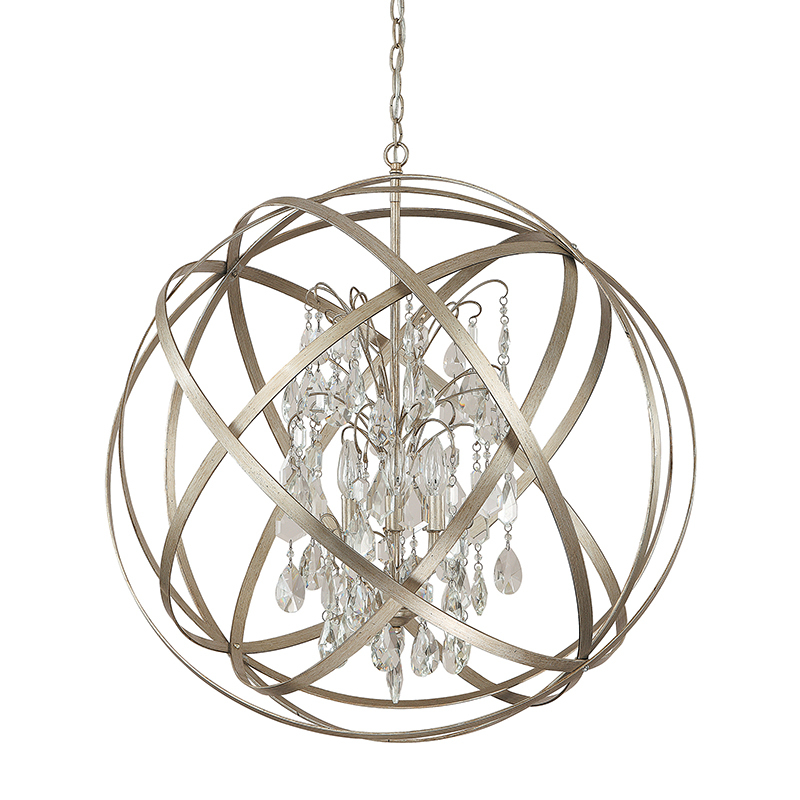 An open bounded metal orb surrounding the light source, Axis is available in Russet, Winter Gold, and new Brushed Nickel finish options, a variety of sizes, and with or without crystal accents. Nearly every manufacturer we visited had an offering of clear glass pendants. Oversized and in varying shapes, these featured prominently throughout the show. 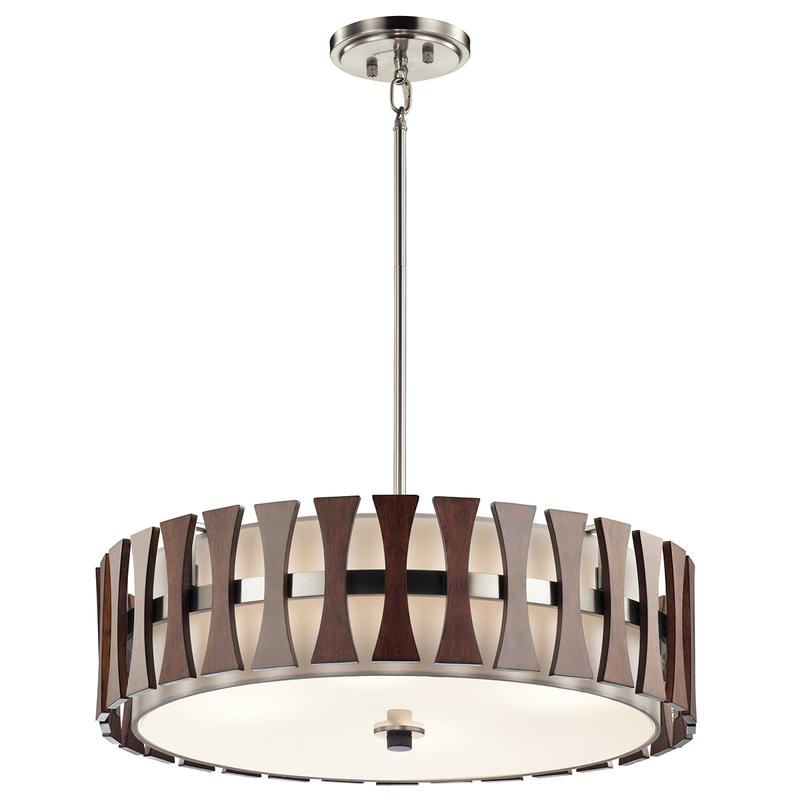 One of the ones we liked is Tech Lighting’s Quinton Pendant fixture, available in LED. 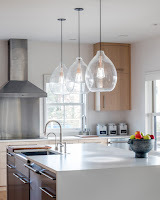 This elegant, large-scale glass pendant is masterfully hand-blown to feature a beautiful clear draw at the crown of the ample, flowing teardrop silhouette. 5. LED – Better And Better! We may say this after every show the last few years, but again, there is no stopping LED. 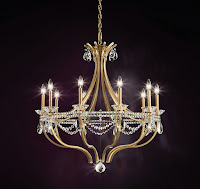 Innovative and fresh designs along with better lumen output and color rendering, make it perfect for everything from bathroom fixtures to crystal dining room chandeliers. LED’s dimming capabilities have vastly improved as well. 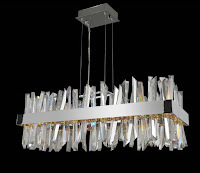 The bold Allegri Glacier LED pendant features clear crystal spears complemented by a thick metallic band. We were also very impressed with the ceiling fans now available with LED lights especially outdoor rated options–a perfect application for the light source. 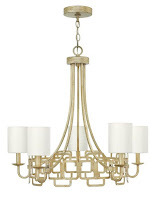 We applaud the trend towards soft gold finishes on fixtures of all description. 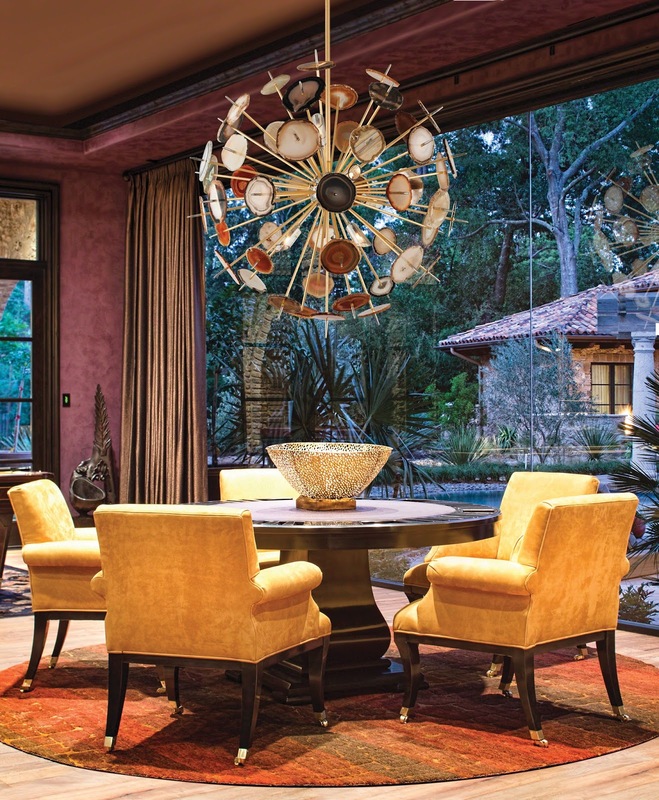 Lending an extra sparkle to your holiday décor, a gold-finished chandelier in an unexpected place brings its own stylish brightness to the party, and works well with your warm winter palate. Bring back the gold standard! 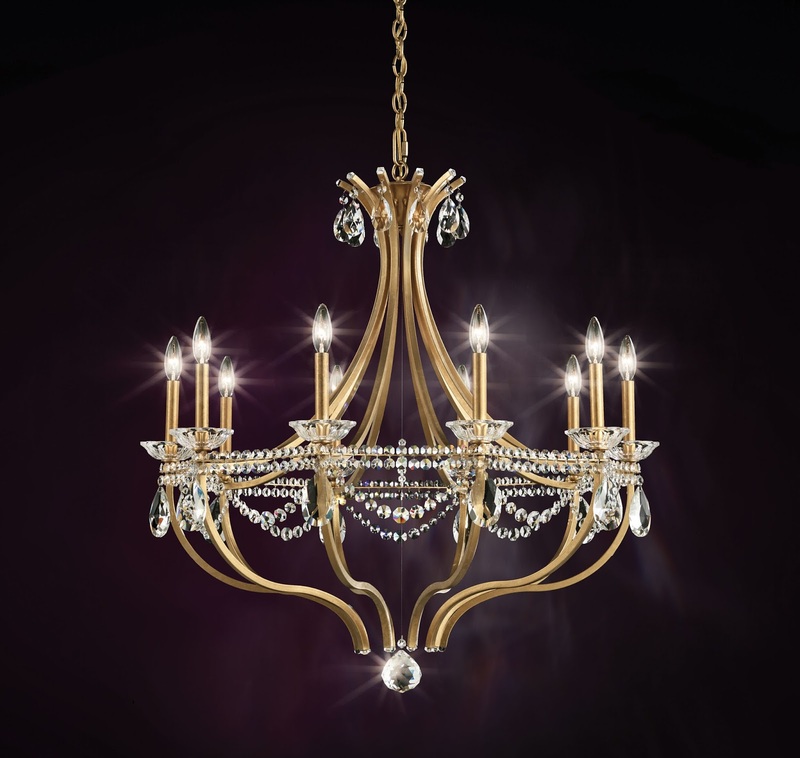 Schonbek dresses up your home for the holidays with the Valterri Chandelier which also embraces a larger movement towards clean straight lines. 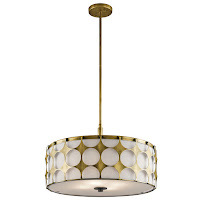 Hinkley softens the gold by adding an element of silver to the finish on their Sabina fixture and Capital Lighting Fixture Company gives us a beautiful brushed gold finish on the Ellis pendant. Let us know your favorite and for more inspiration, visit the Dominion Pinterest page. p.s. Our buyers just got back from the January Market, we are excited to see what caught their attention this year and what will appear in our showrooms for you in the next couple months … if you are looking for something new and fresh to invigorate your space, you’ll find it at Dominion Electric Supply!